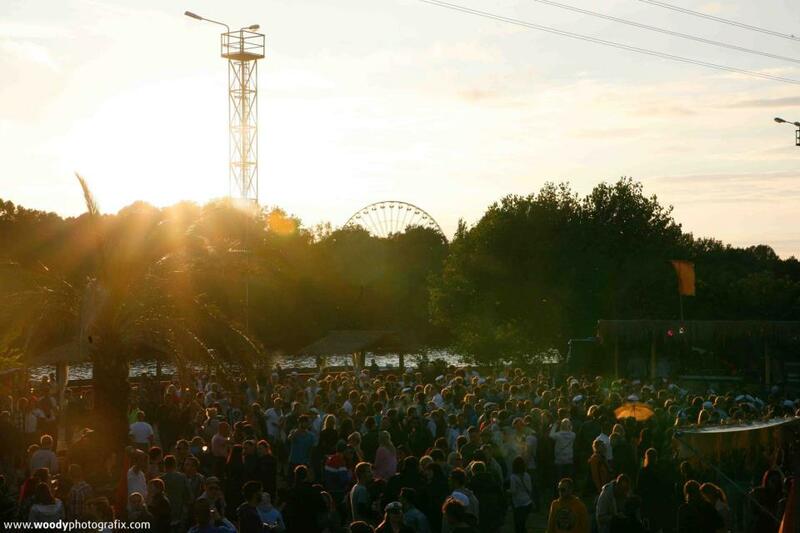 This weekend the fourth edition of the Lollapalooza Festival was organised in Berlin. The festival is originally from the USA and the first edition was organised 27 years ago. 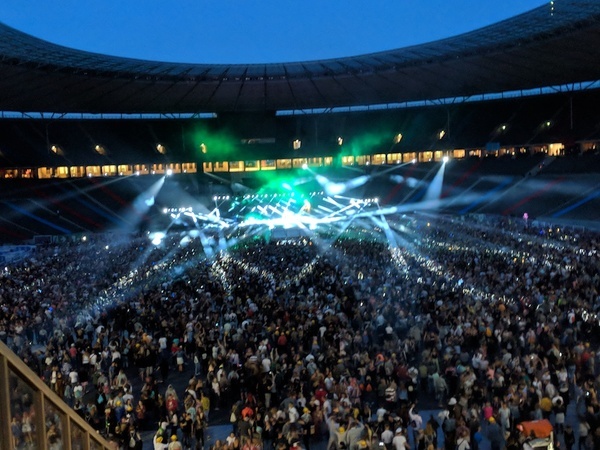 Since four years the festival also takes place in Berlin and after editions at Airport Tempelhof, Hoppegarten and Treptower Park this time it took place in the Olympiastadion. 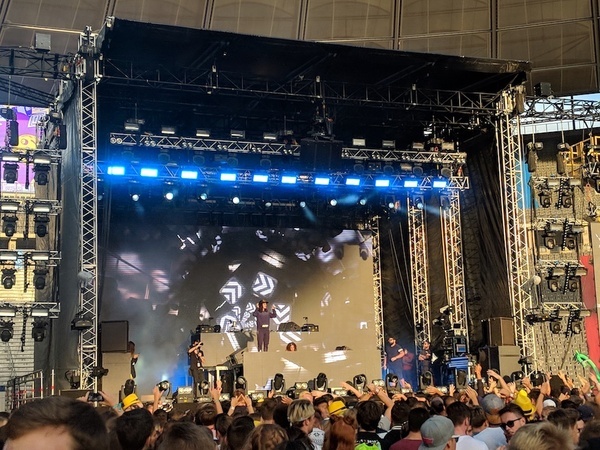 In this review of Lollapalooza we provide you with plenty of photos, some of the highlights but also want to point out some problems which need be improved for next year’s edition. Just like you might expect from an American festival, the Lollapalooza festival was announced on a big scale. From billboards all around town to radio-announcements: The last couple of weeks you read and heard about Lollapalooza everywhere. 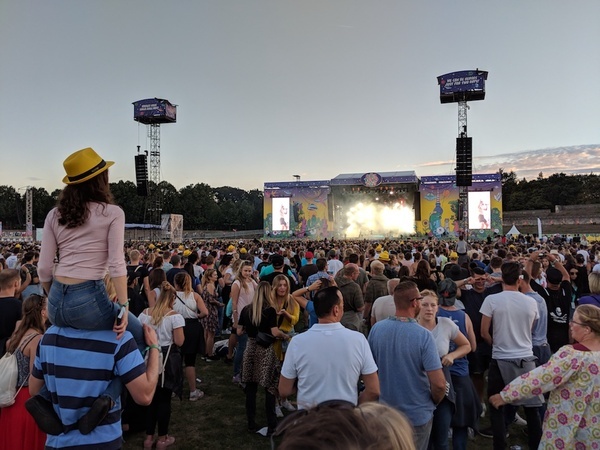 With headliners like the The Weekend, Imagine Dragons, David Guetta and Ben Howard the expectation were high and about 140.000 visitors were expected on two days. This is a massive amount of people, if you keep in mind that other large German Festivals like Fusion have about 60.000 visitors. The expectation were not only high because of the promotions, but also because of the competition. Weekend-festivals in this part of Europe are not expensive at all and people from Berlin are comparing Lollapalooza to these festivals as well. It is always a big challenge to please all visitors. 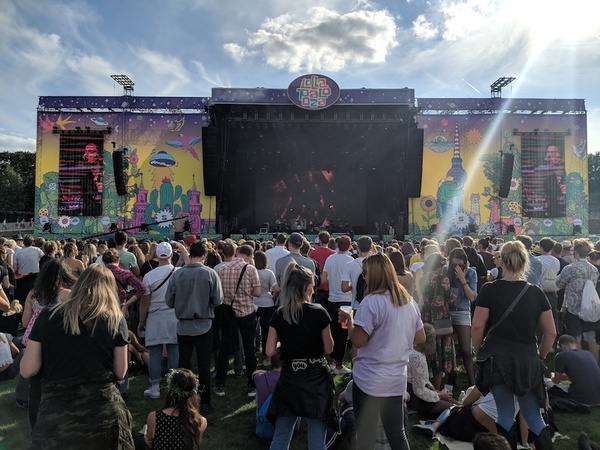 Since the first edition of the Lollapalooza, the organisation has been taken feedback very serious but still some things can be improved in next year’s edition. 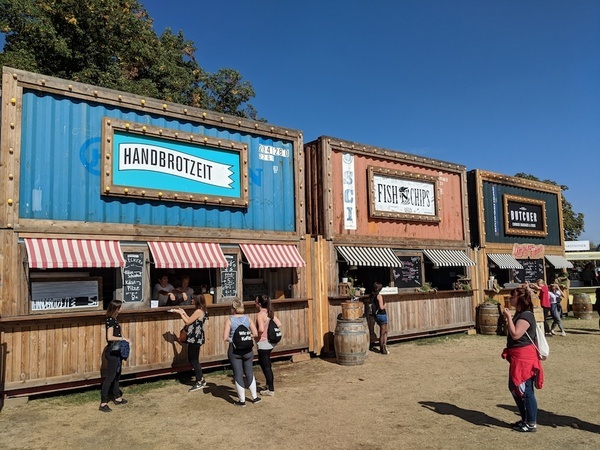 In this review of Lollapalooza Berlin we are going to show you heaps of photos and share with you the highlights and the room for improvement. Let’s start with the good stuff. 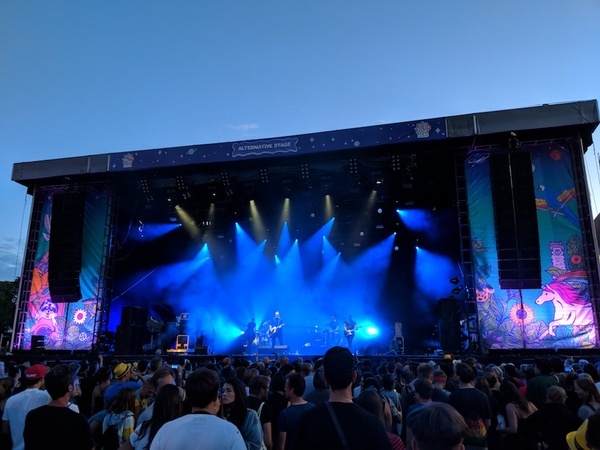 All in all there was plenty to enjoy on Lollapalooza Berlin 2018 at least took some problems from last year very serious. The biggest problem of last year’s edition in Hoppegarten was the transportation of the people after the festival: The trains were just not able to handle the huge amount of festival-visitors. Therefore the organisation had chosen the Olympiastadion as the new venue. Because Hertha BSC plays here every second week, all visitors were able to get home very fast. This was definitely a huge win compared to last year. In the end a festival is mainly about the music for most visitors. At this years edition of Lollapalooza Berlin, all acts we have seen have been of a very high quality. From DJs like Armin van Buuren and Oliver Koletzki to bands like Imagine Dragons and Lewis Capaldi: We enjoyed the versatile music a lot. But a successful festival in the year 2018 should also offer a lot more than just music. It is a good thing that the organisation of Lollapalooza understood this message loud and clear. 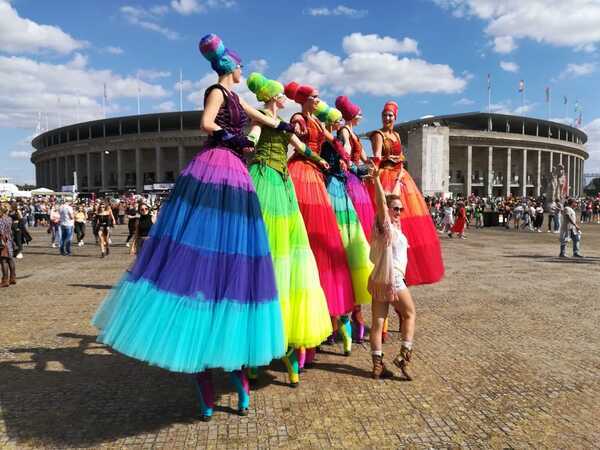 Visitors were able to enjoy dancers, get lost between hundreds of glitters, decorate their own flowers and enjoy things like an art-corner, the Fashionpalooza and a sustainable part of the festival called Grüne Kiez. Also the Lolla Fun Fair was definitely worth a visit with performances of acrobats, actors and other enjoying creatures. Three years ago, when the Lollapalooza Berlin festival was organised at the airport Tempelhof, there were not enough toilets. The guys were doing their thing anywhere they could and the girls had to stand in line for up to one hour. 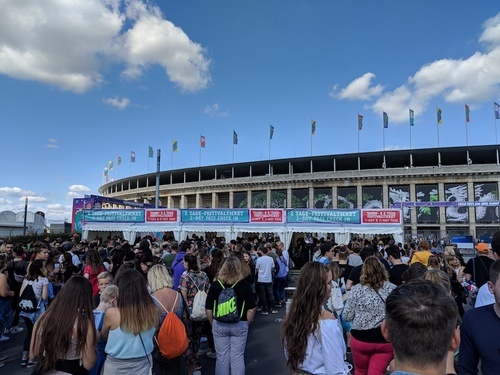 It is good to see that the Lollapalooza took this serious the last couple of years: In the Olympiastadion there were enough toilets and you did not had to stand in line longer than 10-15 minutes. The same goes for Food-Stands: There were plenty of food-stands all over the area of the festival. Ps. On the first day I also thought there were not many food-stands, but then on the second day I found plenty more on the other side of the stadium. A general tip for next year: If there is a long line somewhere go for a walk and find a more quiet area of the festival. What needs to be improved! 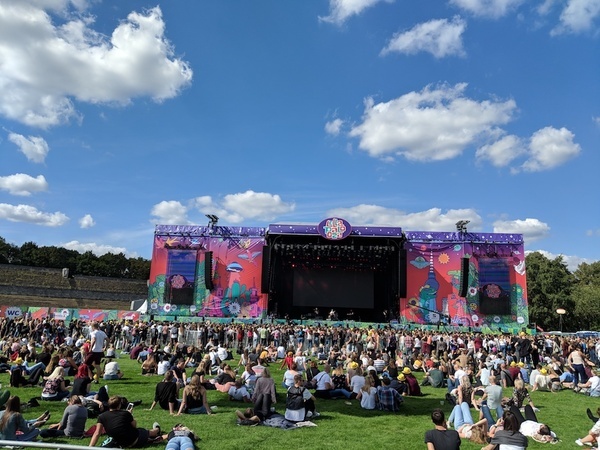 Besides plenty of highlights and positive aspects of Lollapalooza Berlin 2018, this review also needs to point out some things which have to be improved. The organisation of Lollapalooza have to keep in mind that Festivals in the east of Germany are not that expensive most of the time. This means, that when you ask for 140 Euro for two days without camping, people have very high expectations and everything has to be organised near to perfectly. Although the festival is improving every year and taking critics seriously, there were problems during this years edition. 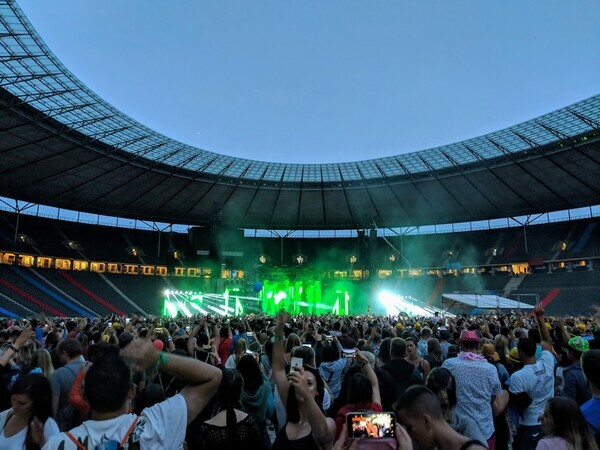 From about 20.30 it was not possible anymore to get into the Olympiastadion itself and therefore the Perry Stage was closed on both days. Because main acts were playing here, people got very frustrated and you cannot blame them for this. 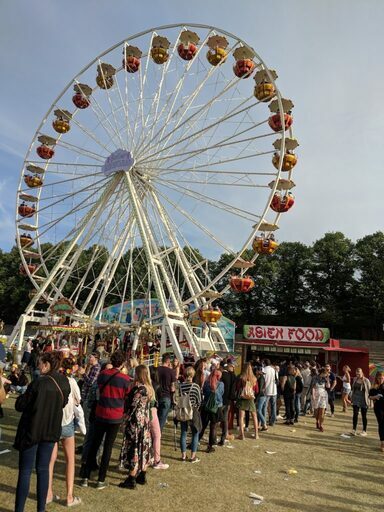 Of course the safety of the visitors is very important, but if you have been organising festivals for 27 years, the visitors might expect that things like this do not happen. If you bought a ticket just for David Guetta or Kygo and you were not able to see him in the end, the festival was far from a success. You go to a festival which costs about 70 Euro per day and pay 4,50 for a beer. This is something you decide in advance and therefore not a problem. But than it is very annoying for visitors to stand in line for a beer or cola for more than 30 minutes. This is precious time during which you hear the band or DJ play your favourite song in the back. If you hire more bar-staff, you will be able to send them to spots where they are needed the most. 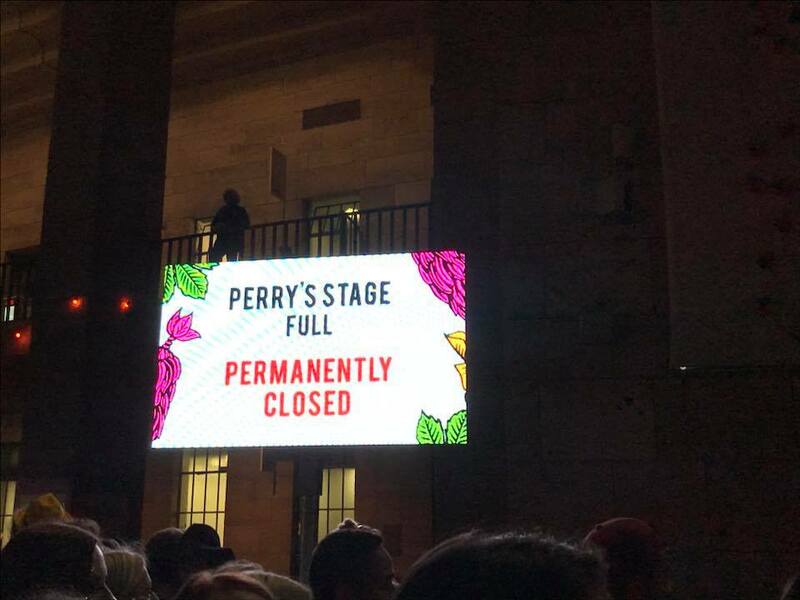 In this case this was the Perry Stage in my opinion. Lollapalooza is a modern festival with cashless-wristbands. Obviously the cashless-system has large advantages but somehow there are always problems with these kinds of technologies. 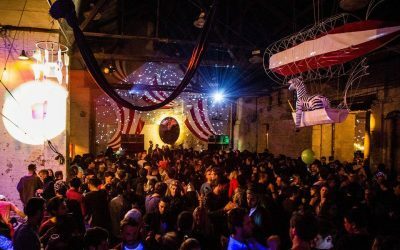 I have seen bar-staff with broken machines, I heard people saying too much money was deducted and in general I found it annoying that you could not see what exactly was booked off your wristband. Although the things mentioned above were quite annoying, overall we had a good time the Lollapalooza festival 2018. The location itself and the music were great and the vibe and visitors were also peaceful most of the day. 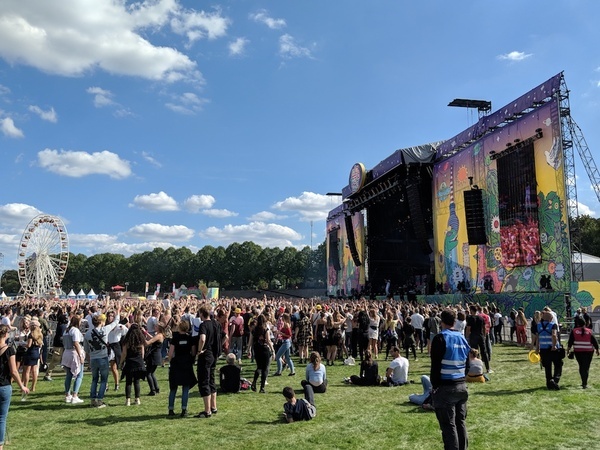 If the organisation can improve the main issues of this year, the fifth edition of Lollapalooza in Berlin is going to be an even better success. The festival will take place during exactly the same weekend, on the 8th and 9th of September 2018. If you want to keep up to date about next year’s edition, you can check the Lollapalooza Berlin website once in a while. There is a free watertap at the Lolla Kids Area but you have to walk quite far to get there. And it’s seems that there is another one somewhere but I don’t know where. Thanks for your comment and thanks for the tip. Yes I actually found some spots for free water yesterday as well. It was just not that easy to spot them. Hope you had a nice festival! There was no free water on festival. The 0.5l of bottle cost 4€. That is way too expensive. There actually was one spot on the festival with free water but I think not many people knew about it. They should communicate that better in the next edition and maybe make sure there are spots all over the location. Limiting people to 1.5 litres per person for a long, hot summer day is slightly stingy, if not dangerous… no? Yes there is free water on the festival. You were able to fill your bottle at one central spot on the location.